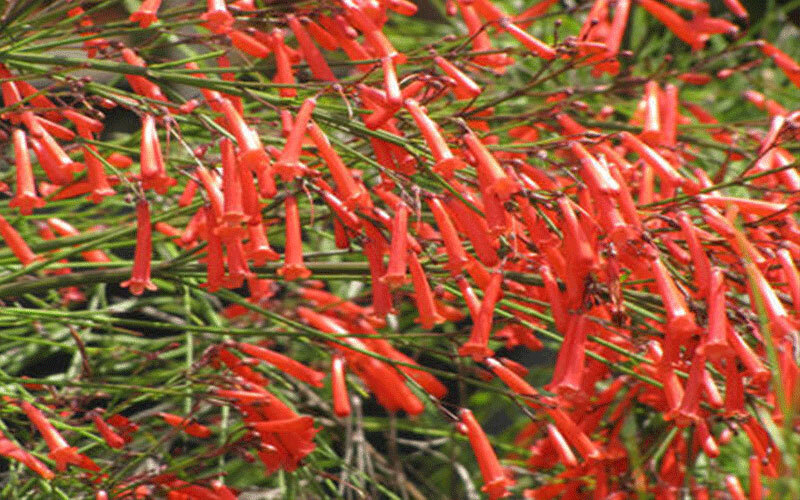 The bright red-orange tubular flowers appear on and off all year, more in warmer weather, and in cooler months some of the slightly fuzzy leaves will turn bright red. The bush also produces attractive black berries which attract birds. It has an airy, informal, cottage-garden appeal and looks best when left to form a natural shape rather than using hedge trimmers to keep it more manicured. This plant is a fast grower that can be kept 4 to 5 feet tall by 3 to 5 feet wide or let it grow even bigger if you prefer. 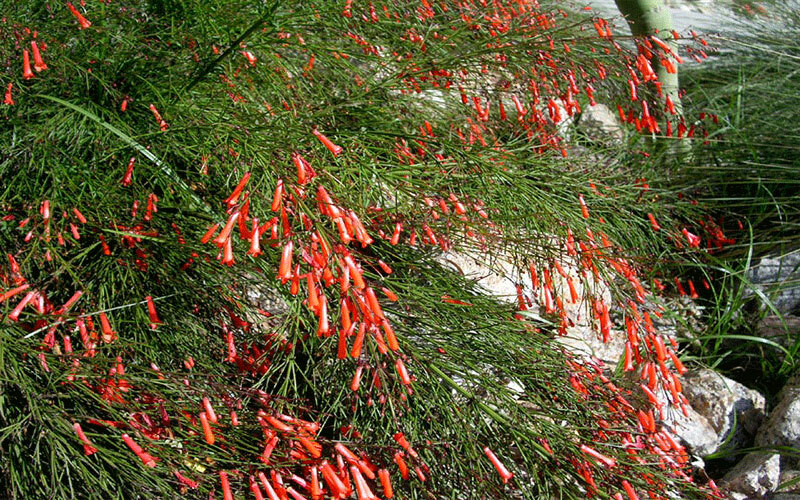 The Fire Cracker plant is an unusual flowering plant whose flowers look like fireworks bursting from the shrubby foliage. 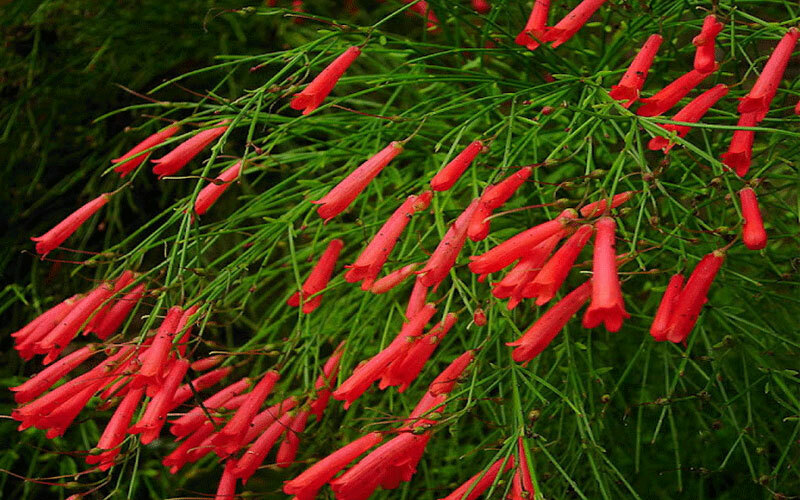 In fact, this plant got its name from the way the blooms blast up and out in all different directions from the base plant. 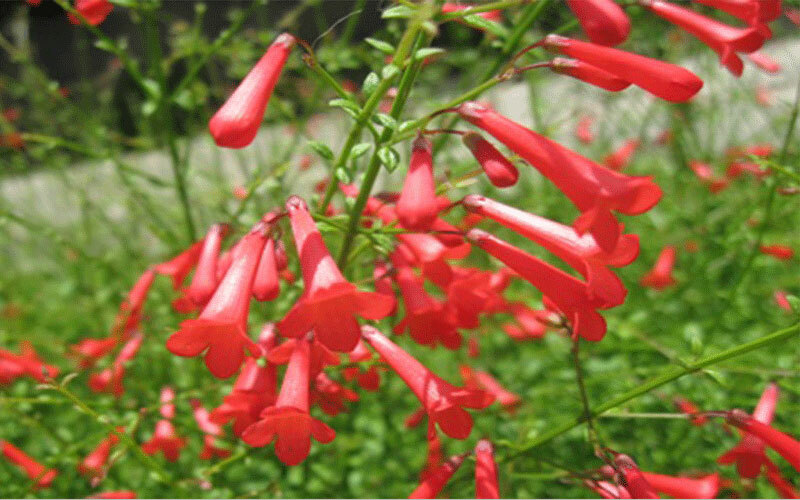 This plant is more of a shrub because of its size, but it can be grown in pots, in the ground, indoors or out. Plant It prefers a sunny spot though it will grow in part or even full shade, growing less densely there and not blooming much.